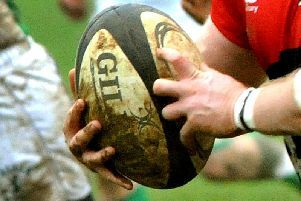 Bletchley returned from Bicester with nothing to show for their efforts but an 18-3 defeat. It only took just three minutes for Bicester to take the lead with a well taken try after the Bletchley defence were wrong footed at a ruck. The conversion in front put Bicester 7-0 up. Dean Williams kicked three points two minutes later, but it was as good as Bletchley’s afternoon would get. Taking advantage of the wind, Bicester found themselves deep in Bletchley’s 22 and once again took the opportunity to get points on the board. A rolling maul proved unstoppable and the home side extended their lead to 12-3 after 14 minutes. And it was a lead they’d hold until half time, with neither side able to breach the defences. Bicester came out hard in the second half and were rewarded with a penalty in the 4th minute to take their lead to 15-3. The home side camped themselves in Bletchley’s half for long periods of the second half, but good defensive work from the Bletchley side kept them out. It took until the 28th minute of the second half before the score board was troubled again with a Bicester penalty; the ball bouncing kindly off the posts for the Bicester kicker to take the score to 18-3. The remainder of the half petered out with neither side having any real cut chance to score. With a yellow card being given to Bletchley with five minutes to go, their chances of getting a losing bonus point were reduced significantly. The result sees Bletchley drop to ninth in the Southern Counties North table.